What’s in your Little Black Bag? Well, it starts with an item you choose, and then the contents grow as stylists add items picked especially for you, based on your preferences. The fun really begins when you see what’s in your bag and start trading with other members. The shopping and swapping happens online, at the Little Black Bag web site, where you can browse the latest jewelry, handbags, cosmetics, and home décor accessories (all the items are new, listed at 40%-70% off typical retail prices). The Little Black Bag experience starts with a series of questions about your style. You choose the first item that goes into your virtual shopping bag, and Little Black Bag’s stylists add to it after gauging your tastes. If you find a product you love that’s in someone else’s bag, just make an offer. It’s that simple. Once you’re done trading and you’re happy with everything in your bag, you make the purchase and Little Black Bag ships the products to you. CEO and founder Dan Murillo says the idea for the social commerce site is loosely based on the Japanese shopping concept fukubukuro, or “lucky bag sale,” where shoppers buy a mystery bag and trade the items with friends. He’s brokered deals with 80 top brands, including Z Spoke by Zac Posen, BCBGeneration, Betsey Johnson, and Kenneth Jay Lane. New merchandise is added every Thursday, so there’s always something fresh and current. 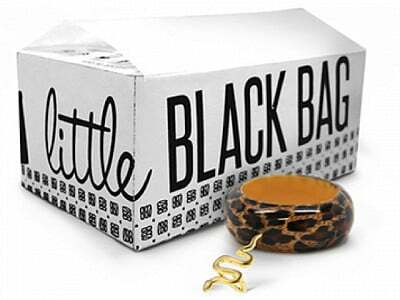 Little Black Bag is a totally new way to shop online, inspired by Japan’s “Lucky Bag Sale.” During the sale, shoppers get a mystery bag of fashion items and then trade the items inside with friends. 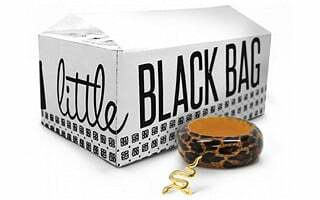 Little Black Bag is bringing this concept online in a fun and exciting way; shop, swap, ship! 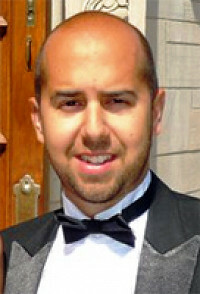 I am here to answer your questions. I think this would make a fantastic gift for my friend who will be having surgery and will be recovering at home. If you buy a gift certificate, can they chose when to use it or does it need to be used right away? You can specify the date when the gift certificate will be delivered and the recipient can redeem the gift at any time. Just to get an idea, I wanted to know which accessories does the bag contain? whats the source of these accessories (new/used) ? @ Kal: You get to choose the first item from a list of the latest jewelry, handbags, cosmetics, and home décor accessories (all new, listed at 40%-70% off typical retail prices). There's deals with 80 top brands, including Z Spoke by Zac Posen, BCBGeneration, Betsey Johnson, and Kenneth Jay Lane. New merchandise is added every Thursday, so there’s always something fresh and current. The fun part is that you get to choose & trade to your heart's desire and only pay once you're happy with all the brand name luxury goodies in your little black bag. Enjoy! What’s in your Little Black Bag? Well, it starts with an item you choose, and then the contents grow as stylists add items picked especially for you, based on your preferences. The fun really begins when you see what’s in your bag and start trading with other members. The shopping and swapping happens online, at the Little Black Bag web site, where you can browse the latest jewelry, handbags, cosmetics, and home décor accessories (all the items are new, listed at 40%-70% off typical retail prices). The Little Black Bag experience starts with a series of questions about your style. You choose the first item that goes into your virtual shopping bag, and Little Black Bag’s stylists add to it after gauging your tastes. If you find a product you love that’s in someone else’s bag, just make an offer. It’s that simple. Once you’re done trading and you’re happy with everything in your bag, you make the purchase and Little Black Bag ships the products to you.